The solution is simple to disable this feature in the Stop Watch to stops the countdown at mouse click! 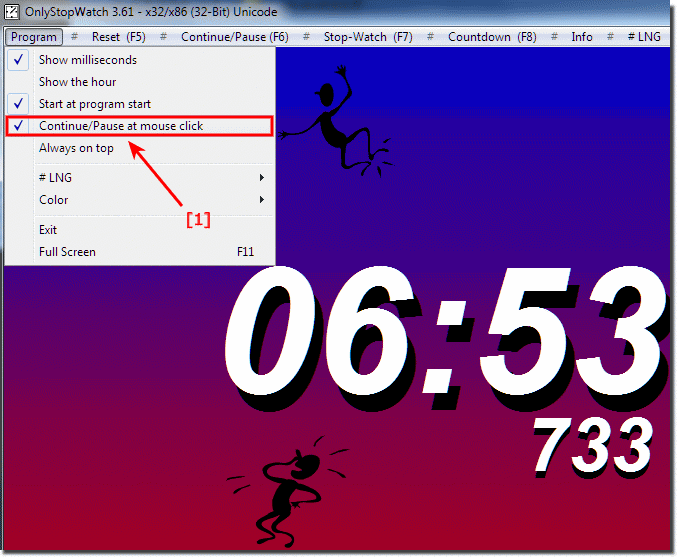 (Image-1) Stops the countdown via mouse click in Stop-Watch! OnlyStopWatch - FAQ-3: The Stop Watch stops the countdown at mouse click!